A brave Russian special forces soldier who was on a Rambo-style one man mission to hunt for ISIS militants died a "hero" after calling in an airstrike on HIMSELF. 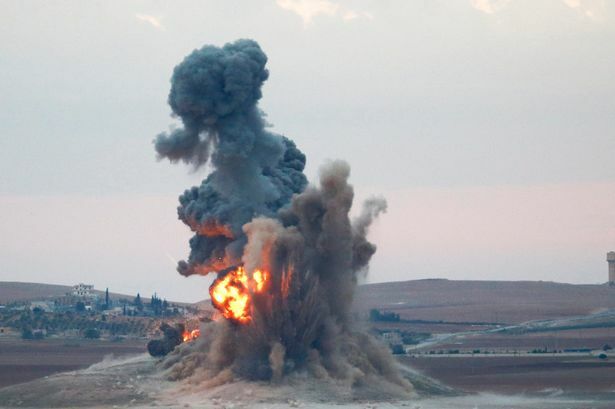 The fearless officer was directing Russian airstrikes at Islamic State targets near the ancient city of Palmyra in Syria when he was surrounded by terrorists. Not prepared to go down without a fight, he ordered military officials to drop bombs on his location and died in the blast. A spokesperson for the Russian military said: "An officer of Russian special operations forces was killed near Palmyra while carrying out a special task to direct Russian airstrikes at Islamic State group targets." 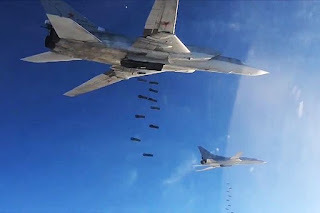 "The officer was carrying out a combat task in Palmyra area for a week, identifying crucial IS targets and passing exact coordinates for strikes with Russian planes. "The officer died as a hero, he drew fire onto himself after being located and surrounded by terrorists." Moscow has been tight-lipped about having any soldiers on the ground throughout its campaign in Syria that began on September 30. Last week IS-linked media said that five Russian special forces were killed near Palmyra, publishing pictures from their cellphones and a video showing a bloodied corpse. However Kremlin spokesman Dmitry Peskov at the time denied that Russian officers were participating in the advance on Palmyra, saying that "the advance is carried out by contingents of the Syrian army". Syrian troops on Thursday entered the ancient city of Palmyra, which had been controlled by IS since last May, and clashes were ongoing in the city. 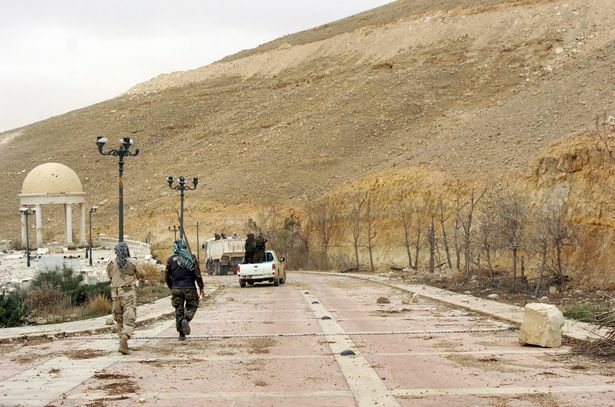 Backed by Russian warplanes and allied militia on the ground, the Syrian army advanced into Palmyra after launching a desert offensive early this month, said the Syrian Observatory for Human Rights. The defence ministry in Moscow said Russian aircraft carried out 146 strikes on "terrorist targets" in the Palmyra area between Wednesday and last Sunday.